ecrandal: TREE COOKIES BY JULI OF SWEET CUPCAKES AND TREATS! TREE COOKIES BY JULI OF SWEET CUPCAKES AND TREATS! Hi everyone! 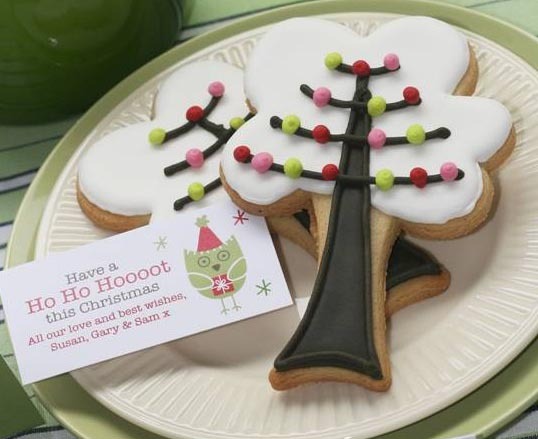 Here is a simply marvelous plate of Tree cookies shared with us by a very good customer way down in Australia. Juli of www.sweetcupcakesandtreats.com.au is so talented her cakes and cookies will blow you away. You must go check her wonderful site out. She made these cookies using our new Tree B cookie cutter (I know boring name, I will have to work on changing that one). Thank you all for looking! Those are amazing tree cookies! Just delightful. To pretty to eat.